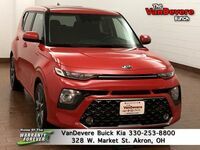 The Kia Soul is one of the most popular Kia models, and for 2020 it’s all new. See what the new design looks like in comparison to the outgoing model with the side-by-side comparison image here. The headlights are refined, the side profile is improved, and the whole package looks more modern than ever before. 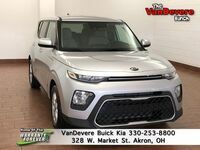 You can learn more about the differences in our in-depth 2020 Kia Soul vs 2019 Kia Soul comparison that we put together here. 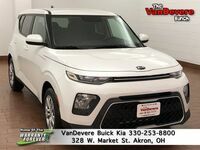 If you are interested in a new Kia Soul in Akron, whether it’s the new 2020 model or our dwindling supply of new 2019 models, you can check the link below to see what VanDevere Kia has in store for you. Otherwise, keep reading to learn more about the improvements that were made to the Kia Soul for 2020. How has the Kia Soul Changed for 2020? 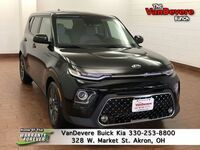 Outside of its outward appearance, the biggest change to the 2020 Kia Soul is the huge number of trim levels. Previously, the Soul was only available in three trim levels, and they were called the Base, Plus, and Exclaim. For 2020, Kia got away from that naming scheme and gives you a total of six trim level options. The lineup now starts with the LX and goes up from there with the S, GT-line, X-Line, EX, and the top GT-Line Turbo. Interestingly, the GT-Line trims feature a unique sporty style with a different grille and red accents on the door sills and up front. The X-line is also unique and features black cladding making it look more like an off-road machine. Under the hood, the Kia Soul has seen further refinements. That standard engine is bigger at 2.0 liters and along with its higher displacement, it gives you a boost in power with 147 horsepower and 132 pound-feet of torque. Impressively, not only does the Soul improve its standard power, but that same engine can also provide more efficiency than any trim or engine combination on the outgoing model. This is still a Kia, and the Soul comes loaded with tech. Of course, you can get a huge screen on the higher trim levels, but regardless which trim level you choose you get features like Apple CarPlay, Android Auto, auto on and off headlights, and more all standard. Of course, other features like smart cruise control, premium navigation, SiriusXM satellite radio, wireless device charging, and more are available too!